KS Hawaiʻi students and faculty advisor Yuki Yano at the Hawaiʻi state HOSA competition held at the convention center on Feb. 26-27, 2019. Seniors Kiki Motta, Hoʻonani McClung, and Nanea Delostrico earned a gold medal in the Public Health category. 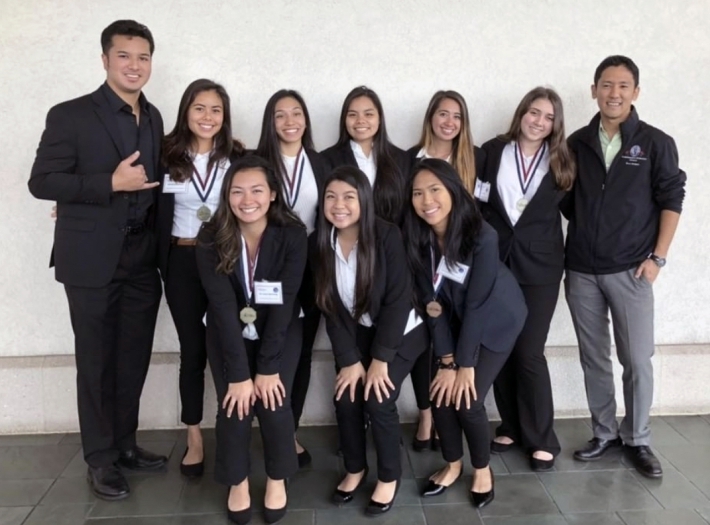 Hoʻomaikaʻi to all of the students who earned medals and competed at the recent Health Occupations Students of America (HOSA) Hawai‘i State Leadership Conference held at the Hawai‘i Convention Center in late February. 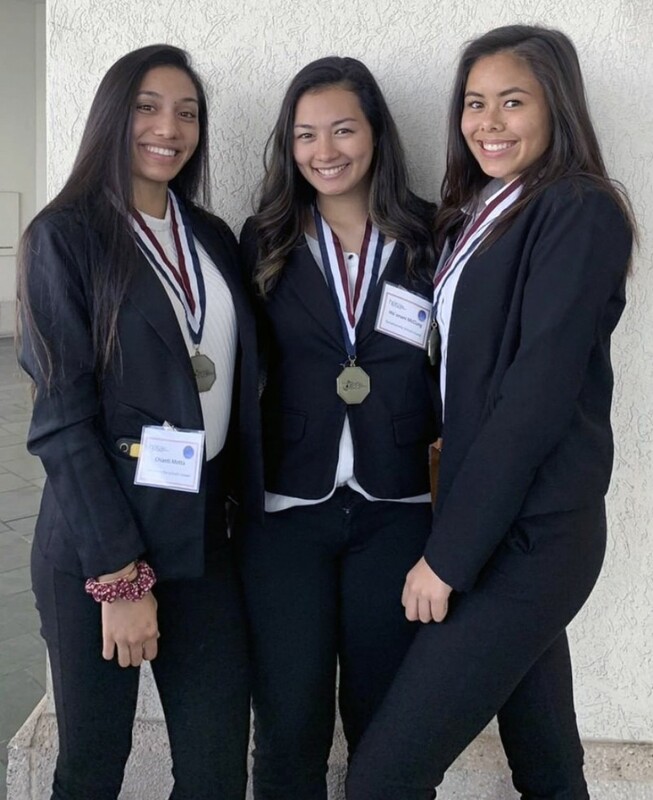 KS Hawai‘i took home five medals, including gold going to seniors Hoʻonani McClung, Chianti Motta and Nanea Delostrico for Public Health; gold to senior Sienna DeSa for Medical Assisting; silver to sophomore Osiana Pacheco for Sports Medicine; and bronze medals to junior Landen Kukahiwa for Veterinary Science and senior Maya Rosof for Medical Law and Ethnics.